It was through documentaries and docudramas in the 1970’s that I first fell in love with bigfoots. I know this trend is continuing today, and below are my personal recommendations for this type of media, (not including my own production, Bigfoot Road Trip). Disclaimer: This page was made possible by a partnership from Amazon Associates who grants me a small commission on what you buy through the links. But, all opinions and reviews are my own, and these products wouldn’t be featured if I didn’t think it could help you be a better, more entertained and informed bigfooter. A great documentary that takes the viewer on a deep dive into the events surrounding the 1970’s documentary The Legend of Boggy Creek (see below). A longer film review can be found by clicking this link. SThis documentary, though a bit dated at this point, is probably the best done in recent years. Doug Hajicek produced the DVD, which is significant as he was the producer for the MonsterQuest series (see below). Sasquatch: Legend Meets Science features not only several scientists’ views on the subject, but also contains several pieces of footage slowed down and looped for analysis. Dr. Jeff Meldrum later published a companion book of the same name. It has long been speculated that sasquatches might be relict forms of Gigantopithecus, the largest ape known to have ever existed. This theory was first put forth my veteran bigfoot investigator, John Green, and later championed by Dr. Grover Krantz. This documentary uses forensic science, 3D animation and other science to explore the possibility of Gigantopithecus being alive today. An older documentary from the 1990’s, this documentary looks at the evidence that accumulated between the late 1950’s and the early 1990’s. This documentary features not only the PG Film, but also Scott Herriott’s footage from Northern California. A true classic from 1975, this was one of the best documentaries for many years on the subject of bigfoot and the Loch Ness Monster. Hosted by Peter Graves, the film has many recreations that scared the willies out of me as a young boy glued to his television in the 1970’s. One of my favorite documentaries from recent years, this DVD looks in depth at the views and contributions of the “Four Horsemen” of sasquatch, on whose shoulders we all do research. Dr. Grover Krantz, Rene Dahinden, Peter Byrne, and John Green are interviewed and profiled. Though the subjects range far beyond unknown hominoids like sasquatch, the History Channel series Monsterquest had many bigfoot episodes. One episode even featured Bobo and I bigfooting in Northern California and is entitled “Legend of the Hairy Beast” (season 2, episode 10). You can buy any of the season collections and not be disappointed. It was hard to decide whether to put this film in the documentary section, or the fiction section, since it’s more of a docudrama than anything. I decided to put it on both lists just to be safe. This classic film details the strange encounters happening around Fouke, AR back in the early 1970’s, and features many reenactments of those encounters. It is totally cheezy and kind of poorly done, but many of the actors in the film are the real witnesses that experienced the encounters. But again, these are real encounters spun into a narrative. 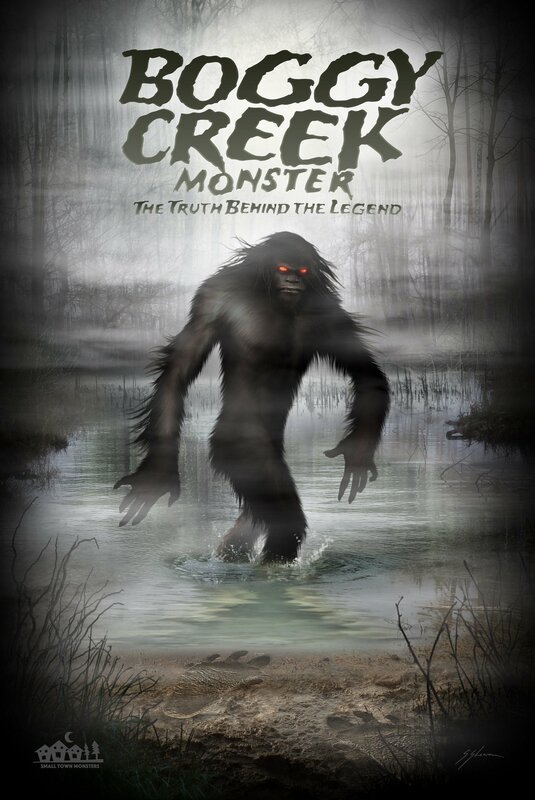 There is also an excellent book detailing the events in the movie written by Lyle Blackburn called The Beast of Boggy Creek: The True Story of the Fouke Monster. It is a must-read for any fan of this classic film. This one-of-a-kind documentary focuses on just bigfoot sightings in the South. Of special interest in this film are the Honey Island Swamp Monster, the Florida Skunk Ape, The Lake Worth Monster, and the Fouke Monster. While some hold that bigfoots do not exists out of the Pacific Northwest, this documentary shows that this simply is not true. This documentary focuses on bigfoot encounters in the state of Oklahoma. There are eyewitness accounts, interviews, and recreations. This documentary, made way back in 2002, was one of the first to show just how squatchy southeast Oklahoma really is. As far as I’m concerned, this is the grandaddy of them all. In Search Of… was the TV show that really put me on the track (no pun intended) of bigfoot way back in the 1970’s. I didn’t understand why Spock was narrating it, but I knew it had to be for a good reason. The series featured episodes on bigfoots, yetis, sea monster, and so many more weird things that still tantalize my imagination.